You have a small creative business, or a great idea for one, but how do you set yourself apart from the thousands of other small creative businesses out there? I have been selling handmade items on Etsy for 3 years and my business continues to do well because I operate a very small business in a professional, organized and creative way. Let me tell you what I focus on, outside of unique products, that helps my small business stand out. I started creating handmade paper crafts years ago for my friends and family. After a little prompting from my husband I opened an Etsy shop in 2012 and have enjoyed creating for customers all over the country ever since. My business is small, a micro business if you will, but it provides a little extra money for my family and I truly enjoy creating each piece. I strive to set my shop apart from the thousands of other paper crafters out there. I focus on a few core items that sell almost daily and try to exceed my customers expectations every time. In addition to unique products that customers are searching for, I focus on three things to help set my small business apart. Be Professional – Wherever you choose to open an online shop, be sure to know your platform and use it to its fullest. Have a name, an image or logo, a thorough description and policies in place. You may be small but your shop should reflect a true business that a customer can rely on. Ensure your items are photographed well, and descriptions are detailed. When you receive an order respond and ship in the timeframe you outlined, the earlier the better. 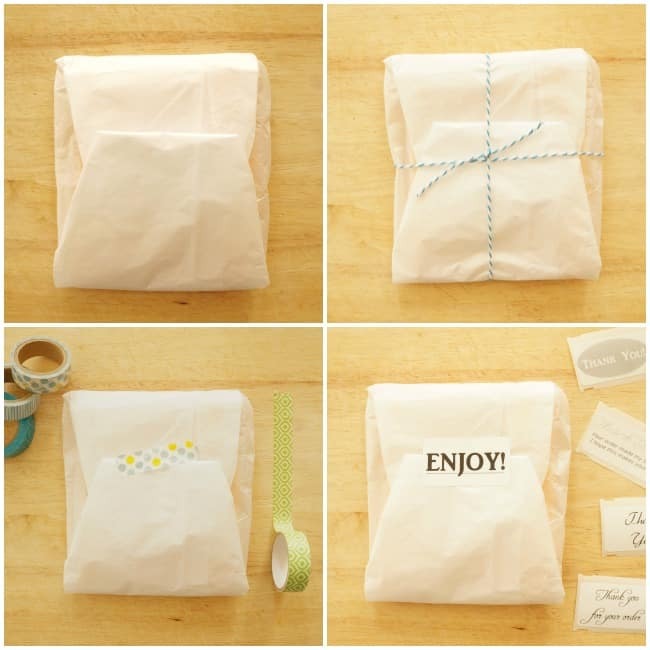 Package your items safely, and include a handwritten note along with a business card. These may sound simple, but a smooth and professional transaction will keep your customers coming back and they will talk about you to their friends. Be Organized – Not only should you have an organized shop online, but try and keep your supplies organized. I have been in a spot where I waited a few days to start a custom order and realized I was out of a key supply. Now, in a more organized craft room, I know right away when I need to restock. I use bins and labels to keep track of my supplies and orders. 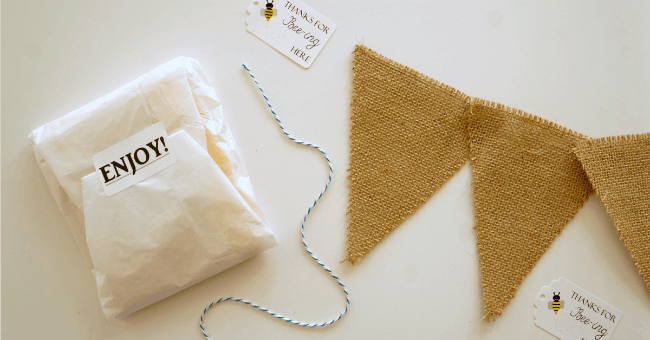 Be Creative – You are already pretty creative, you have a product and a shop! Search for your items and see what kind of competition you have. Then figure out how you can creatively set yourself apart. Is it your service? Your speedy delivery, a unique twist on a traditional item? I have tweaked my products to help them stand out from the crowd and they consistently sell. To keep my customers coming back, I make sure my packaging is pretty and professional, and always include a handwritten note along with a business card. I also ask for feedback and for customers to share photos of their products in action. To keep my office organized, and my packaging pretty, I use my DYMO LabelWriter® 450. Not only does it create labels for my craft bins and jars, I have created thank you stickers for my packaging. Professional creative packaging makes your small shop look like a big deal. I have used a variety of packaging from twine to washi tape, but I love how custom labels look on my packages. Using the DYMO LabelWriter® 450 I opened the software and started designing. This easy to use platform allows you to select the label size and add text, shapes and images. 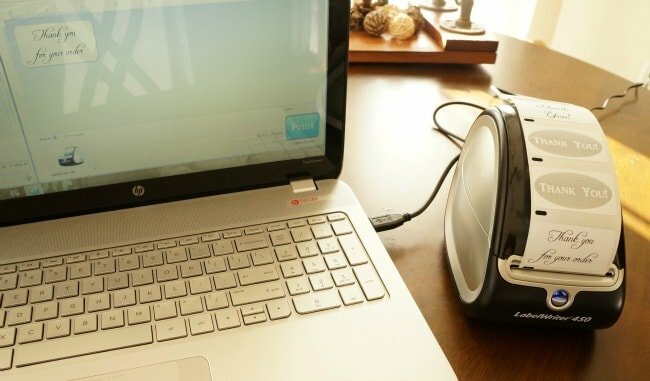 I can create one image and print immediately to the connected DYMO LabelWriter®. Then I can save that design and start a new one. No loading and reloading sheets of labels into my printer. These labels are all created using text within the software. 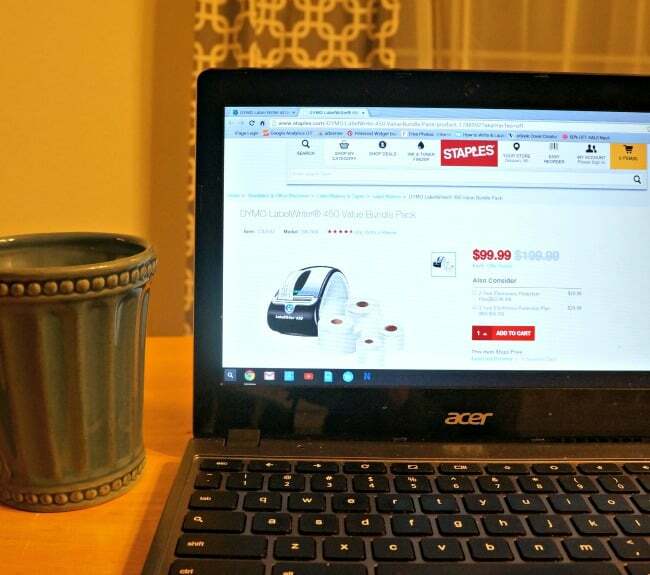 I ordered my DYMO LabelWriter® 450 Value Bundle Pack at staples.com. It’s available primarily online, but can be found in select stores. When checking out the product you can see if it’s available at your nearest Staples. This LabelWriter® comes with 4 label rolls and software to create and easily print labels. There is no ink, a huge plus, the labels use Thermal printing technology to produce crisp and professional looking labels. I love that I don’t have to load and use a full sheet of labels into my printer when I just need a handful. Such a time saver. The DYMO LabelWriter® product family has solutions for just about all of your business needs. The DYMO LabelWriter® 450 Turbo can print shipping labels and stamps. These are great time-saving features, no printing cutting and taping individual labels. The DYMO LabelWriter® 450 Turbo takes it up a notch and prints high-quality labels at high speed, up to 71 labels per minute, saving you time. It’s available online and in select Staples stores. Be sure to check back every week for Staples Daily Deals for special deals on your favorite DYMO LabelWriter® products including DYMO LabelWriter® 450 Bundle, LabelWriter® 450 Turbo, and LabelWriter® 4XL Turbo! 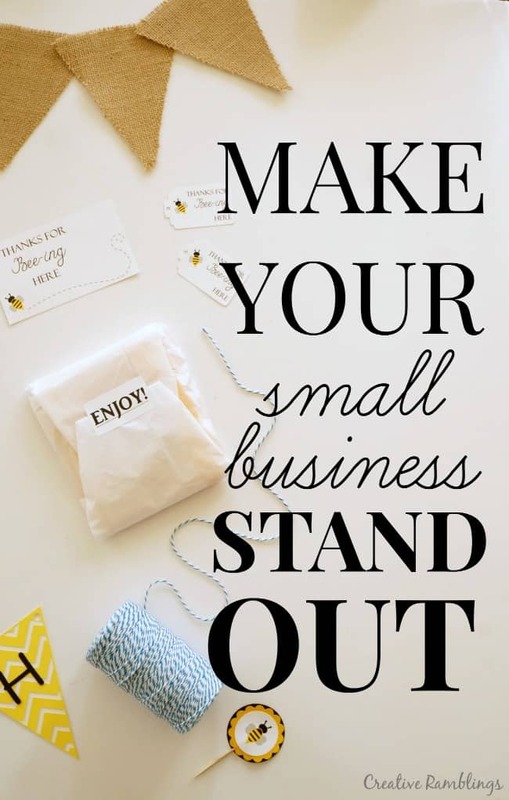 Make your small business stand out by being Professional, Organized, and Creative! 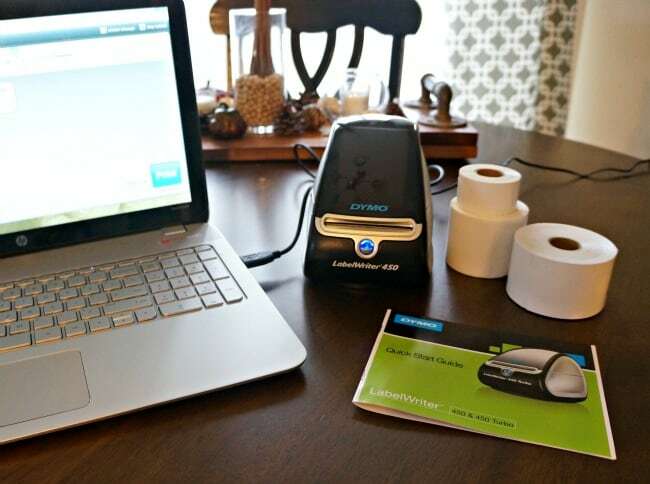 I’d love to hear how you would use a DYMO LabelWriter® to help grow your business. Tell me in the comments below. Thank you for this article! I definitely plan on finding this label maker and your site is inspiring. Thank you Hope, so glad you stopped by to read. Great post! Thank you for sharing this blog 🙂 Completely agree with your list. I think it is very important to be consistent and honest with the product we’re selling as well. Love it Judy, best of luck with your business.